Enter your 2019 Economic Forecasts! One of the prevailing narratives in economics over the past few decades has been the stifling of wage growth. The NAIRU provides an interesting lens through which to gauge labour market slack. The recent decreases…. Click here to enter your forecasts! The annual Clash of the Titans events feature three though-leaders in economics in differing career fields giving their forecasts for what will happen to the UK economy as we progress from 2018 into 2019. The Economic Research Council was delighted to host its 8th annual Clash of the Titans economic forecasting event, kindly supported by KPMG. Our Titans this year are Melanie Baker – Senior Economist at Royal London Asset Management, Prof. Jagjit Chadha – Director of the National Institute of Economic and Social Research and Dr Adrian Paul – Chief UK Economist at Goldman Sachs. We shall track their performance over the course of the following year, and we’ll announce the winner at next year’s Clash. You can see the performance of last year’s Titans, as well as members of the general public, by clicking here. 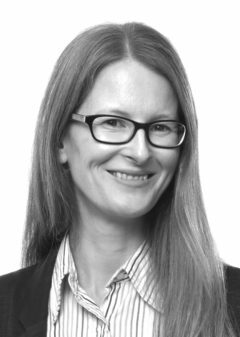 Melanie Baker is RLAM’s Senior Economist with over 18 years’ experience in the financial sector. She started her career at Morgan Stanley where she was an economist analysing currencies. She was Senior UK Economist at Morgan Stanley and analysed the UK economy and political risk events for more than a decade. Her period covering the UK included the aftermath of the financial crisis, Scotland’s Independence referendum and Brexit. She is a CFA charterholder and is also a Trustee of a local charity providing community childcare. She attended Edinburgh University and has a master’s degree in Economics from University College London. 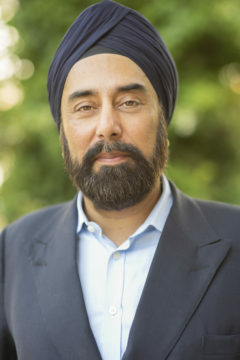 Jagjit Chadha is the Director of NIESR and an expert on financial markets and monetary policy, as well as aspects of monetary and financial history. He has written widely on the design of monetary, fiscal and financial policies. 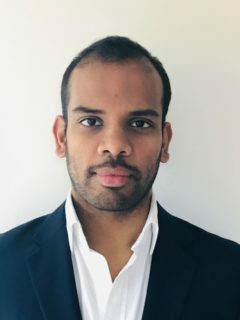 His main research interests are developing the links between finance and macroeconomics in general equilibrium models and has published widely in economics journals. He is also editor of the Cambridge University Press series on economics, Modern Macroeconomic Policymaking and an associate editor of several journals. He has recently published a book on Developments in Macro-Finance Yield Curve Modelling by Cambridge University Press and a number of papers related to the impact of quantitative easing on financial market prices. He is Professor of Economics at the University of Kent, and also part-time Professor of Economics at Cambridge. He was previously Professor of Economics at the University of St Andrews and Fellow at Clare College, Cambridge. He has worked at the Bank of England as an Official working on Monetary Policy and as Chief Quantitative Economist at BNP Paribas, and has served as Chair of the Money, Macro, Finance Study Group. He has also acted as Specialist Adviser to the House of Commons Treasury Committee and academic adviser to both the Bank of England and HM Treasury, and to many central banks as well as the Bank for International Settlements, and held the post of Gresham Professor of Commerce from 2014-2018. Adrian Paul is an economist in the European Economics team. He first joined Goldman Sachs as an economist in 2009 and rejoined the firm after leaving in 2012 to return to university. Adrian received a Ph.D. in Economics from the University of Oxford, having completed an M.Phil. in Economics in 2014. During his doctoral studies, he was a Lecturer in Economics at St. Hugh’s College, Oxford. Adrian earned an M.Sc. in Finance from the London School of Economics, and an M.A. and a B.A. in Economics from the University of Cambridge. This will be updated as data is released. This will be updated as as soon as all entries are received and the competition entry period closes on 21st January.